In light of the recently released list of focus areas identified by the chairs of the Open Working Group (OWG) on Sustainable Development Goals (SDGs), a technical workshop was organized at the UN in New York to discuss possible indicators and means of implementation associated with the proposal to include Social Protection Floors targets as part of the SDGs. Following months of consultations with UN member states and civil society, the OWG has now recognized 19 areas, among them poverty eradication, employment and decent work for all, and the promotion of equality, which make specific references to the need to strengthen social protection and social security systems. Ambassador Frankinet indicated that in its efforts to help shape the agenda, her country would be highlighting the need to reduce inequalities, and recognized the ILO’s Decent Work Agenda and SPFs as powerful factors in bringing about those aims. Indonesia’s Permanent Representative, H. E. Mr Desra Percaya, laid out several proposals for targets related to social protection, including minimum social expenditure ratios and limits on the uneven income distribution. However, he suggested that indicators be established within national contexts, adding that countries could interpret social spending in various ways, including income support, housing provision and health services, among other endeavors. Mr Mateo Estréme, the Deputy Permanent Representative of Argentina, spoke about his country’s extensive experience in developing a Social Protection Floor. “My impression is that we don’t have a basic model [of social protection], but that there are many models,” he said. “But we do have best practices. We know what has worked and what has not worked,” said Estréme. Ms Isabel Ortiz, Director of the ILO’s Social Protection Department, introduced potential targets and indicators for SPFs, including the universal extension of old-age pensions, unemployment and maternity benefits, family allowances and universal access to essential health services, among others, and discussed possible sources of financing. “Regarding the cost of implementing a Social Protection Floor, it depends on how substantial the benefits are,” said Ortiz. “There are savings to be had, but we should weigh those savings against the cost of continued poverty.” One source of potential savings mentioned was the targeting of benefits to only the poorest segments of society, as many countries had done as part of larger austerity efforts following the 2008 crisis. However, Ortiz cautioned against the risk of social stratification and loss of political support for SPFs when targeting benefits only to the poor, which would leave segments of the population paying into social protection systems, while getting nothing in return. In the conclusions, the ILO Deputy Director to the UN, Mr Vinicius Pinheiro, explained that the ILO constituents expressed their support for a standalone goal on Employment and Decent Work for All supported by a specific target on the Extension of Social Protection Floors. The ILO, along with other UN funds and programs, submitted requested inputs to the OWG on SPF targets as part of its recommendations for the SDGs. 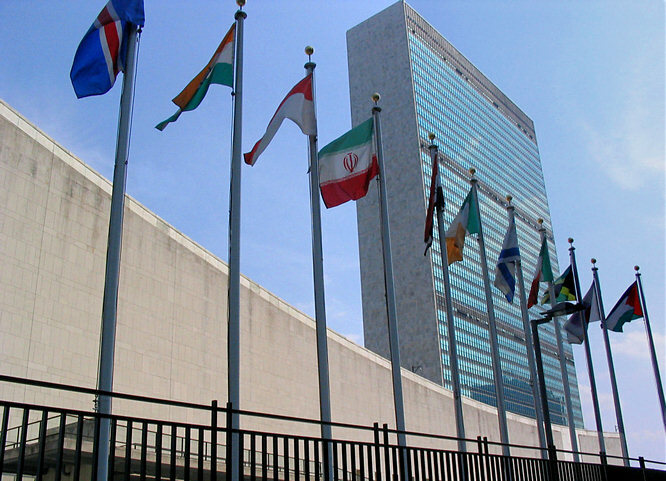 The OWG will produce a report of its activities and findings to the UN General Assembly during its 68th session in September 2014.